JPEG 2000 offers numerous advantages over the old JPEG standard, and several of these advantages will be discussed. One main advantage is that JPEG 2000 offers both lossy and lossless compression in the same file stream, while JPEG usually only utilizes lossy compression4. JPEG does have a lossless compression engine, but it is separate from the lossy engine, and is not used very often. Thus, when high quality is a concern, JPEG 2000 proves to be a much better compression tool. Because of the way the compression engine works, JPEG 2000 promises a higher quality final image, even when using lossy compression. Since the JPEG 2000 format includes much richer content than existing JPEG files, the bottom line effect is the ability to deliver much smaller files that still contain the same level of detail as the larger original JPEG files. The JPEG 2000 files can also handle up to 256 channels of information as compared to the current JPEG standard, which, by reason of common implementation, is limited to only RGB (red, green, and blue) data. Figure 1 shows two images that were first compressed with the old JPEG compression engine, and then compressed using the JPEG 2000 method. The images that were compressed using JPEG 2000 are seen from Figure 1 to retain a much higher quality. A second advantage of JPEG 2000 over JPEG is that JPEG 2000 is able to offer higher compression ratios for lossy compression. For lossy compression, data has shown that JPEG 2000 can typically compress images from 20%-200% more than JPEG. Compression efficiency for lossy compression is typically measured using the peak signal to noise ratio, or PSNR, and the root mean square error (RMSE). This method seeks to take into account the visual quality retained by the compression method, as well as how much the image was compressed. The formula for the PSNR compression efficiency, in dB, is shown in (1), where b is the bit depth of the original image. An example of some PSNR efficiencies for JPEG 2000 and JPEG is shown in Table 1. Two different color images were compressed using several different bit rates (measured in bits per pixel, or bpp) using both JPEG 2000 and JPEG. A higher bit rate will result in a higher quality picture. The analysis was performed by Maryline Charrier, Diego Santa Cruz, and Mathias Larsson as part of an overview of JPEG 2000. The results indicate that JPEG 2000 consistently offers a higher compression efficiency. One should note that since the PSNR is measured on a log scale, the data in Table 1 indicates that in actuality the test showed that JPEG 2000 compresses almost twice more than JPEG. JPEG 2000 is also able to offer compression ratios of about 2.5:1 for lossless compression, whereas JPEG was not able to satisfactorily perform lossless compression at all. Lossless compression ratios are simply measured by how much less memory the compressed image uses. Another advantage of JPEG 2000 is its ability to display images at different resolutions and sizes from the same image file. With JPEG, an image file was only able to be displayed a single way, with a certain resolution. Because JPEG 2000 is based on wavelets, the wavelet stream can be only partially decompressed if the user only wants a low-resolution image, while the full resolution image can be viewed if this is desired. 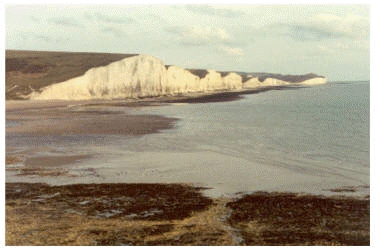 Figure 2 shows an image that is displayed at full size and full resolution, as well as half size and at a much lower resolution. All of the images came from a single JPEG 2000 file. There are numerous benefits to viewing the same image file at different resolutions. For example, if an image was available for download on the Internet, someone with a fast Internet connection could download the full resolution image, while someone with a slower connection could choose to save time by downloading a lower-resolution image. The ability to display a single file with different resolutions also promises to be helpful in many industry applications where a certain image may need be displayed with only a low resolution at times, while in other processes a clearer picture may be needed. Using JPEG, a different file would need to be generated for each picture. Using JPEG 2000, the same image file could be used, and the user could choose at what resolution to display the image. Yet another benefit of JPEG 2000 is its ROI capability, or Region of Interest. The use of wavelets allows one to be able to select a certain area of an image to view at a high quality, while leaving the rest of the image at a lower quality. This allows the user to only view a necessary portion of the image instead of the entire image. This significantly reduces the amount of memory the image requires, and the amount of time required to access the image. 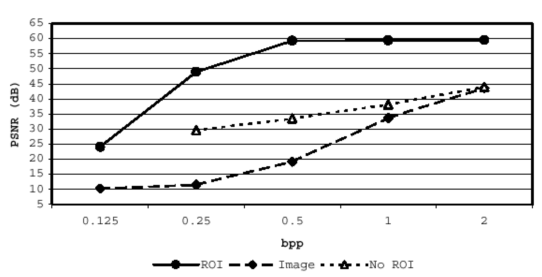 Figure 3 shows the image compression quality (PSNR value) vs. the bit rate (in bits per pixel) for an image that was compressed using both the ROI encoding and the standard encoding method. The quality of the entire image is also shown on the graph. As is seen from Figure 3, the quality of the selected area of the image is significantly improved when the ROI method is used. Although many other advantages of JPEG 2000 exist, a final way discussed in this paper in which JPEG 2000 is superior to JPEG is in the area of error resilience. Error resilience measures the ability of a compression method to avoid letting errors introduced into the image file affect the quality of the image. For example, when downloading an image from the Internet, background �noise� may be introduced into the image file, causing some small errors. Conversion of the file for use in another application is another way in which small errors may be brought into the image file. 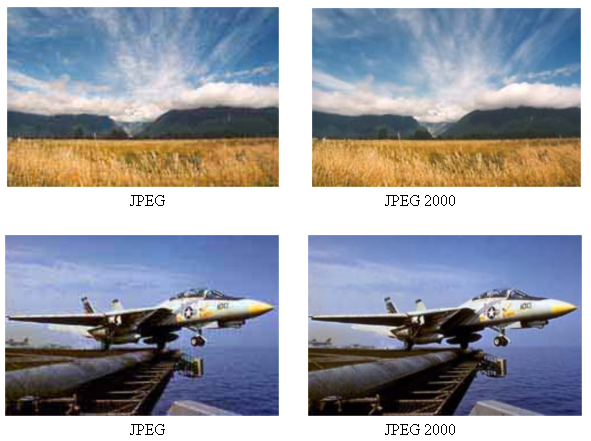 JPEG 2000 offers significantly higher error resilience than JPEG; therefore, there is less chance that the image will be somehow corrupted and its quality sacrificed in some way. How to Optimize PDF Files for Web Sites? How to Compress your PDF files? What is PDF/A? What is PDF/X? Advanced PDF Tools Command Line Home page. Copyright © 2000-2007 by VeryPDF.com, Inc. Send comments about this site to the webmaster.